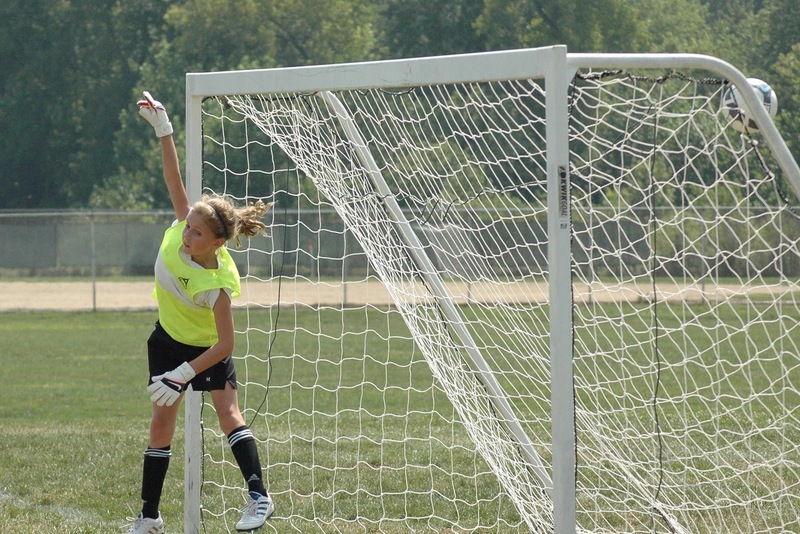 At what age should a young soccer player specialize at one position? Last week, my daughter's soccer team won a very competitive pre-season soccer tournament against some of the best 10U teams in the region. 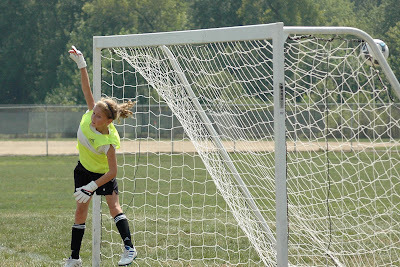 My daughter, CC, played goalie for 150 minutes of the total 200 minutes of action during the 4 games. CC only played 20 minutes total on the field mostly at right wing. I was a little surprised by this because last season she was the second most productive offensive player on the team with 20 goals and 18 assists despite playing 50% of the time in goal. I know that my daughter likes playing goalie so it did not bother me that she played goalie in such an important tournament. I did not want to make a big deal about it, but I did want to know the coach's philosophy on specializing on one position at such an early age. I emailed him the note below. My objective was to let him know that I do not mind my daughter playing goalie in tough games, but I would like her to continue to develop as a complete player. To inquire about the coaches intentions, I sent the following email. Note that I got the answer that I wanted without challenging the coach. Hi Roger, congrats on tourney win. CC enjoyed playing goalie during the tournament. Do you plan to train her as a goalie? At this point, no, I know CC primarily played goalie this weekend, because she is an outstanding goalie, but I have no plans of making her a full time goalie. I want her on the field as much as possible, she is just as good on the field. My goal this past weekend was to build team confidence, by playing tough and having success against very good teams, we did that. I hope to rotate players through that position. The club does offer keeper training and I will find out the times and days and encourage our players to go. Now as CC gets older and really likes that position then we can start looking at that for her, but right now she is way too young to decide on one position. I didn’t mean to send that message to her, I will let her know tonight , I want her on the field. But there will be times in tight games, where she can help us by playing in goal. CC's team won 2 games and lost one in pool play. They got to avenged their loss in the finals and won 2-1. CC made a game saving save on a corner kick with under two minutes left in the game. She made another spectacular save by tipping a high shot over the cross bar. I do not think that a U10 player should be specializing at one position. If you have similar concerns talk to your coach. I suggest that you ask him or her questions without questioning his decisions.